Actually, PostgreSQL has a full-fledged message queue available via the skytool package (tools developed and open-sourced by Skype). Its called pgq and works very well. I’ve used it to perform long calculations on insert/update/delete of certain tables on multi-terabyte DBs. 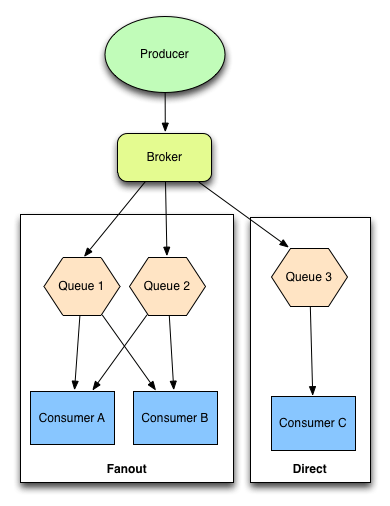 The consumers can be written in PGPLSQL or Python, and the queue itself is written in Python. Great, I had not had a chance to use the full-fledged message queue within PostgreSQL but I have used the queue_classic https://github.com/ryandotsmith/queue_classic worker queue with good results. I am a big PostgreSQL fan in general. I really liked both part 1 and 2 of this. Great posts! 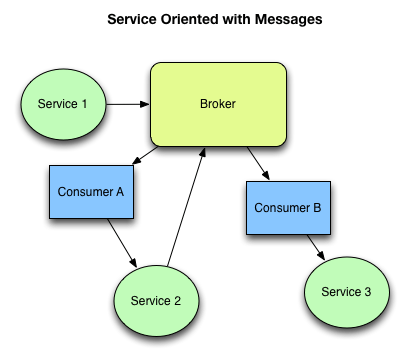 I think that it is also important to consider whether or not you want to introduce a message mediation layer to interact with your broker(s). Apache Camel, of course, comes to mind, but there are others for sure. The big benefit being that your services don’t have to consider anything about how to interact with brokers. That stuff is encapsulated in a mediation layer, so services can focus on simple, re-usable API’s. This concept can change everything… but sometimes it’s a little much. I guess it depends on if you really want to dive into SOA. Especially with a fairly complex enterprise system, encapsulating message mediation can pay dividends, and allow you to replace your queue technology without a horrific ripple effect. Yes, great point didn’t have a chance to bring up mediation layers in this post. But I agree they can benefit the application in a SOA architecture. As with everything, there’s tradeoffs and introduced overhead but depending on the needs of the project they can be a big win. 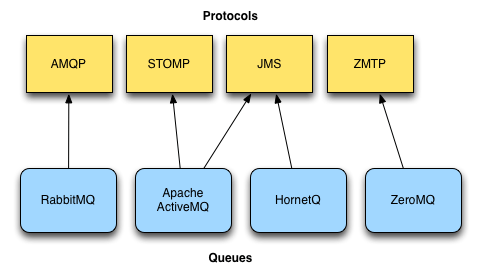 I think that the ideal place for developers to start in order to get the very basics of message queues is actually something not listed here, namely Sys V IPC structures, which tend to involve both message queues and semaphores. 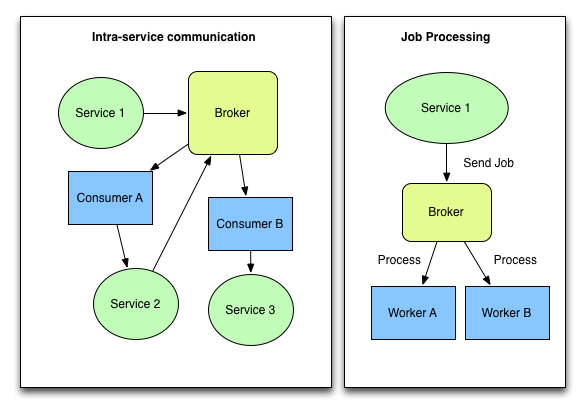 Typically with a message queue system we are usually taking what has been learned in interprocess communication environments and trying to make this work over a network. In terms of learning this topic, approaches might include writing a web application which is a simple wrapper around a Sys V message queue, playing with this, and then looking at what else is possible. As a side note, I am working on a PostgreSQL extension which offers message queueing. It has a few issues right now, but I expect to get a new version out pretty quickly which resolves all known issues (see http://www.pgxn.org/dist/pg_message_queue/0.2.0/). Interesting, thanks for sharing. Hadn’t thought about that as a starting off point for message queues. That’s awesome that you are building a PostgreSQL message queue, looks promising. Great article. As a .NET dev I wish MSMQ was included in the article but we can’t have everything I guess.